Heinz Rimmler and the author has some correspondence in the 1980’s. Knowing my interest, he located some old pictures and made photocopies of them. Some he annotated. I was especially interested in the photos of the old locomotives and airplanes. Not relying on my German, I had a translator do the letter. Heinz letter. 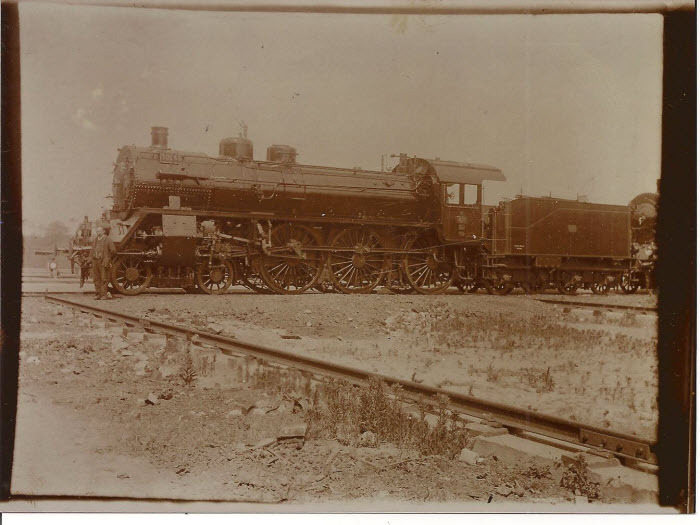 Regarding the locomotives, it is not clear if they are intended to be photos of the rigs, his father or my great-grandfather worked on. Heinz was interested in art and photography, and easily could have pictures of interesting things that were not necessaryly personal. 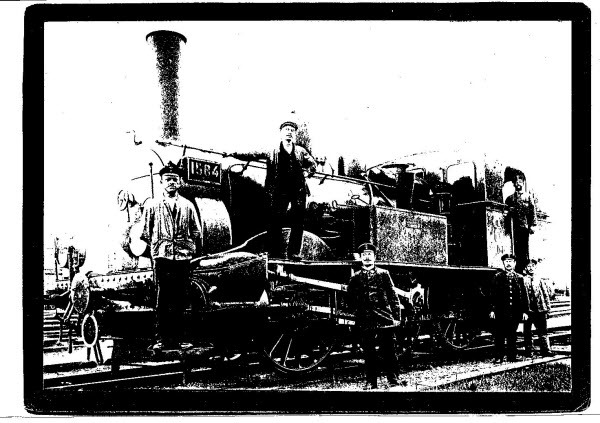 Of the two photos, the clearer has some men standing near, but this is a very old locomotive. The picture of the locomotive that is further away seems more likely of the era when our forebears were working on the rail road. I notice that rails running perpendicular to the locomotives appear to be some sort of skids to move heavy equipment, rather than to run a train on. My great-grandfather worked in the machine shop of the railroad. 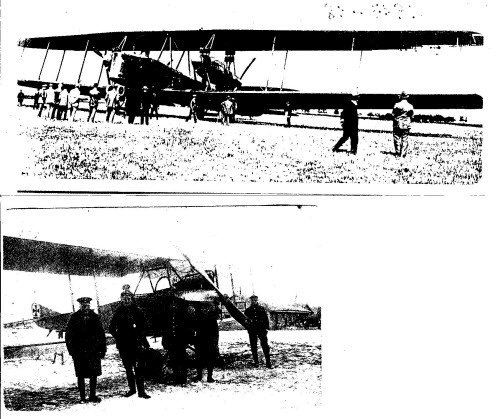 His comment on the airplanes is interesting, indicating his brothers worked during the war on airplanes (“Which my brothers were involved in World War I.”) That would not be Philipp, who had immigrated to the US before the war. Heinz did have two other brothers, Wilhelm (1987-?) and Freidrich (1898-1917), but I don’t have any other information on them.